Supporting San Diego for more than 20 years with drug rehab services. Millions of Americans struggle with substance abuse. At the McDonald Center at Sharp HealthCare, we believe that no one should face overcoming addiction alone. We offer the most comprehensive hospital-based treatment program in San Diego. Breaking the cycle of chemical dependency. Don't live with addiction — let us be a source of hope. We offer many programs and services, including addiction treatment, medically supervised detoxification and rehabilitation, day treatment, outpatient and inpatient programs and aftercare. 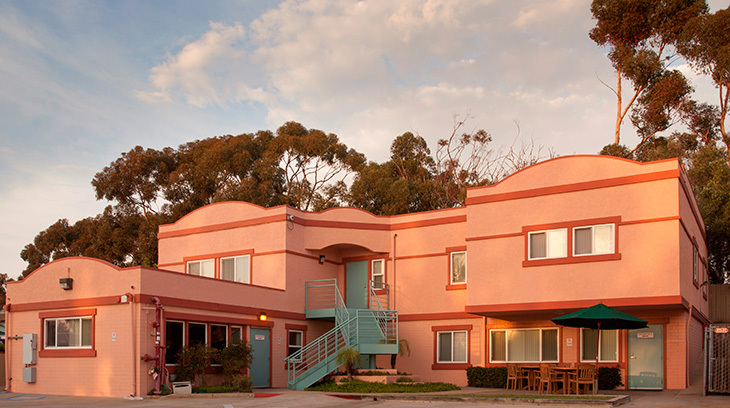 And our nationally known residential program provides drug rehab and alcohol treatment in a serene, homelike setting. A commitment to your recovery. Our compassionate medical team works with you and your family on breaking addiction cycles. We're a team of affiliated psychiatrists, experienced nurses, licensed therapists and certified counselors. And together we'll help build the foundation for a successful recovery.